Pre-sell inspections are a great way to move your house faster. With my sellers inspection you will have any items identified ahead of time and you can have them fixed, change the pricing of the home or negotiate. As a seller, you know that buyers are going to need to have a home inspection conducted before they agree to purchase the property. But what if you were to beat them to it? Getting a pre-listing home inspection by JBair Home Inspection offers some advantages to sellers that you may not be aware of. The biggest, of course, finding out the exact condition of the property. Exceptional real estate agents are continually preaching to their seller clients about the importance of being ready for the buyers home inspection. 1. You find out what condition your home is in. One of the biggest fears of most sellers is that when a buyer does get the home inspected, something will be discovered that kills the sale. This concern is undoubtedly justified. The home inspection is often the point where sales fall apart – leaving the seller to pick up the pieces. But as the seller, you don’t have to wait for the buyer’s inspection. You can have your own done, and get ahead of any issues before ever listing the property for sale. By having a home inspection before hitting the market, you’ll find out the exact condition of your home. Make sure, however, you pick an excellent home inspector like Jerry at JBair Home Inspections. Like any other business, there are those who are considered exceptionally thorough and others who are not. 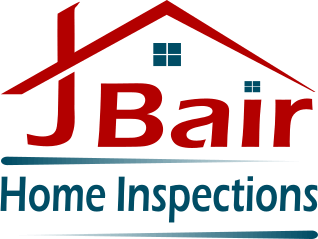 There is no point in having your home inspected if the home inspector only catches a fraction of the issues, you should have no worries if you choose JBair Home Inspections. 2. Pricing the home accurately is much easier. Choosing an accurate price for your home is one of the most challenging parts of the home sales process. It takes experience and skill to find the sweet spot – too high and buyers will stay away, too low and you miss out on money from the sale. The best way to choose a price is to work with a Realtor experienced in your market, but even the best real estate agent will struggle with pricing if the state of the home is unclear. Having an inspection before your house goes on the market ensures that you have all the facts, which makes setting a price much easier. Not knowing if there is something wrong with your home adds a lot of stress to the sales process. Selling your home is never easy, to begin with. Worrying that the sale will fall through because of something that turns up during an inspection adds a thick layer of anxiety to your life that won’t go away until the sale closes. Fortunately, you can wipe away that anxiety pretty easily. You just have to get your own inspection before listing. Something may or may not need to be fixed. A pre-listing inspection will let you know either way. By getting the inspection done with JBair Home Inspections, you can feel much more confident about the current condition of your home. 4. You can make repairs. Most agents will tell you to make major repairs before you list your home. The buyer’s inspection will uncover significant defects, and you will be expected to repair them if you want to get full price for your home. The problem is that you will only have until closing to get the repairs done if you wait until the buyer’s inspection. The limited time frame tends to put sellers on edge and leave them scrambling to get everything fixed in time. With a pre-listing inspection by JBair Home Inspections, you set your own schedule for repairs. There is no rush to list the property until you have made sure the home is in good shape. You’ll be putting your home on the market with confidence you’ve corrected any large problems. 5. Less likelihood of negotiations. Quite often buyers will use the home inspection as a point of asking for additional concessions. They will use the home inspection as a means to renegotiate the sale. That’s because they know that there will probably be one or more issues that will come up warranting reconsideration of the price. Negotiating home inspections is a common hurdle in the real estate process. Not many people enjoy it and for some it can become extremely stressful. You’ll find this to be especially true if the buyer and seller don’t see eye to eye which isn’t unusual. Quite often buyers ask for inspection repairs they shouldn’t because they don’t get proper counseling from their buyer’s agent. There can be a long list of nit picking. A pre-listing inspection by JBair Home Inspections helps you avoid the typical interactions that follow the buyer’s inspection. You are unlikely to learn anything new about your home from the inspection, and neither is the buyer because you have already had an inspection done. Both you and the buyer have been aware of any issues and all repairs from the beginning of your interaction. Negotiations still may occur, but they will probably be minimal. 6. Help improve the buyer’s confidence. Anytime you can hand a buyer an inspection report by JBair Home Inspections that details the present condition of a home; you’re probably going to make them feel more confident about the purchase. Buyers naturally are skeptical about a home’s condition until their home inspection is completed. For many folks purchasing a home it will be the most money they will ever spend. Buyers will calculate what they can afford now combined with upkeep in the future. If a buyer suspects that the house might have hidden problems, the offer he or she makes could reflect that. An inspection done before listing for sale can help eliminate much of the doubt about the home. Knowing that a professional like JBair Home Inspections has already looked over the home carefully allows the buyer to make a confident offer. Now... Let's get that home inspected!